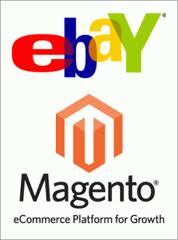 ORLANDO, FLORIDA-Ebay’s promotion of Magento Go is an excellent opportunity for online merchants to explore the SEO benefits the open-source, e-commerce product offers. According to eCommerce Bytes, an independent news source for online retailers, the users of eBay’s ProStores were urged to switch to Magento Go, which eBay acquired last year, in a recent email newsletter from ProStores. So, what is Magento exactly? And why has eBay turned its back on the older platform? Our operational manager Saeed Khosravi theorizes that eBay has lost interest in promoting ProStores because it is outdated and lacks the required flexibility to become a full-fledged, customizable Internet store. “Out of the box, Magento Go is very search engine friendly since the open source community version gives you the flexibility to configure your website to perform better on search engines,” he explains. The product is a feature-rich online service that allows entrepreneurs and small businesses to quickly build an online storefront to sell products and services. The main thing the website describes about Magento is the unprecedented flexibility and control over the look, content and functionality of stores that features powerful marketing, search engine optimization and catalog-management tools. The product may be more flexible than its predecessor, but that doesn’t mean the SEO guidelines change. The rules are the same no matter what platform they are on, says Khosravi. The crucial thing to know is how to apply these rules properly to get the most out of the platform and make the site easy for search engines to interact with. The biggest SEO benefit of Magento, according to Khosravi, is how out-of-the-box search engine friendly it is. They make many standard SEO techniques easy to implement, which he recommends taking full advantage of right away. Use the full control they offer over page names, titles, URLs, headings and meta tags for product and category pages as well as CMS pages to optimize each page for your targeted keywords. Search engine optimize the configuration of the site’s HTML head. The elements inside the <head> section of a website can include scripts, provide the browser with the location of style sheets, provide meta information and have tags such as <title>, <base>, <link>, <meta>, <script> and <style>. Set the preferred domain version, for example www instead of non-www, and create an XML site map. Install the product’s free extension, the one that uses a canonical rel link, to eliminate any instances of duplicate content on the site. No matter which platform companies choose for e-commerce after they implement the SEO basics, our CEO Ali Husayni advises that they stick with targeted writing on a WordPress blog to climb SEO rankings. “If you are competing with strong rivals, you can have an advantage over them by simply writing and posting articles on your site’s blog on a regular basis,” Husayni emphasizes. Posting once a month may give smaller businesses that advantage, but the reality is that for most e-commerce sites, even writing once a day may still not be enough. The quantity depends on the market but the quality should remain the same. High-quality content, which means well-written, fresh and relevant articles and press releases, is exactly what the Google search engine wants. Consulting with an SEO expert can help determine how often websites need to post to be competitive in their market. Can A Magento Store Be Integrated Into A WordPress Site? Combining a Magento store and WordPress site is simple to do by installing it on a subdirectory; however, Khosravi says it would be better the other way around with Magento installed on the root directory of the site with WordPress as its sub-directory blog. For merchants looking for the ultimate flexibility for SEO needs, he suggests going with Magento Community Edition, which is the product’s self-hosted option. Please post your questions here and our team will respond to you. If you need professional consulting, please fill out our main form here. Hi, this is a good article about media print, we all should be familiar with media as an impressive source of information. It\’s impressive that you are getting ideas from this paragraph as well as from our dialogue made at this time. After going over a handful of the blog posts on your website, I honestly like your way of writing a blog. I book marked it to my bookmark website list and will be checking back in the near future.